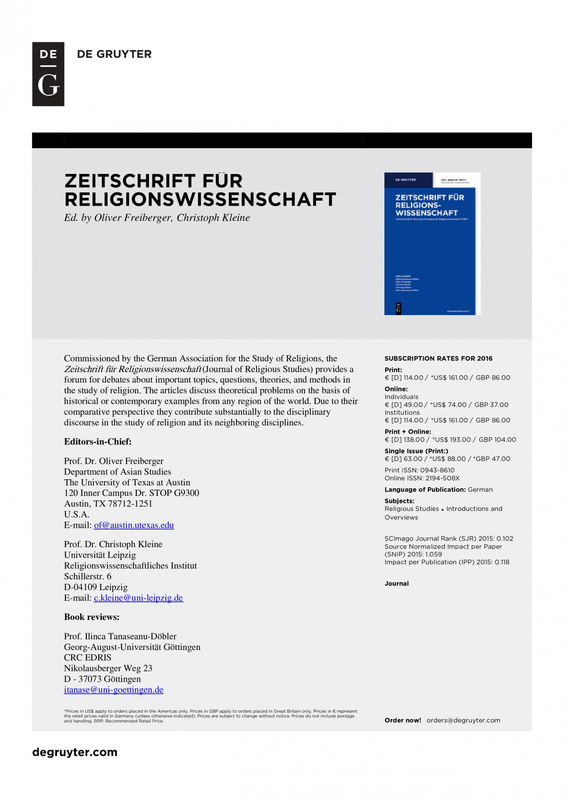 Our Permanent Senior Research Fellow Hubert Seiwert has published an article on “Ancestor Worship and State Rituals in Contemporary China: Fading Boundaries between Religious and Secular” in the current volume of the Zeitschrift für Religionswissenschaft (Volume 24, Issue 2, 127-152). The paper argues that the distinction between religious and secular realms of society is not as clear-cut in modern societies as it appears in theories of functional and institutional differentiation. The data used are mainly from China with a short excursion to the United States. The starting point is ancestor worship, which is a central element of traditional Chinese religion. The significance of ancestor worship in Chinese history and culture is briefly explained to illustrate on the one hand its central importance as a ritual practice and on the other hand the ambiguities of interpretation. On this basis, some theoretical considerations about the existence of ancestors are presented. This is followed by a report on contemporary temple festivals focusing on the worship of Fuxi, a mythic figure considered to be the first ancestor of the Chinese people. The next step is the description of official state rituals devoted to the worship of the very same mythological hero in contemporary China. Against this backdrop, the last part of the paper discusses the theoretical questions of classification and distinguishing between the religious and the secular.